I learned via email that Norwegian Rewards is offering 18% off all activities booked through their partner site Get Your Guide through July 22nd, 2018. 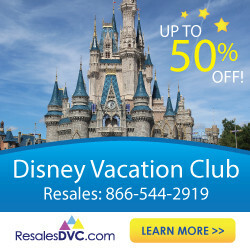 I was excited to find that the 18% discount does work on Disney World tickets, providing some incredible deals! Of course, I wouldn’t share a deal with you until I verified it myself, so I’ll show you how the process worked when I bought my own ticket with this deal and how much you can save. 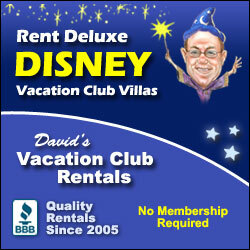 There are several Disney World tickets available with this sale but not all are a good deal. The one- and two-day tickets don’t provide significant savings, but the 3-day and up tickets do. You can upgrade any of these tickets to Park Hoppers for similar savings and child tickets are also available at a discount! These tickets are able to be linked to your My Disney Experience ahead of time so you can take full advantage of the FastPass system. A 5-day adult Magic Your Way ticket with the discount is $311, a savings of $110 off the gate price of $421! This ticket offers the best savings. A 7-Day adult Magic Your Way Ticket with the discount is $366, a savings of $76 off the gate price. A 3-day Adult Magic Your Way ticket (which allows you to visit one park per day) with the 18% discount is $276 including tax. This is $49 off the Disney World gate price of $325. You will be required to choose a date for the tickets. It doesn’t matter what date you select – all 3-day and up tickets can be used anytime until December 31st, 2019. After that point, the value of the ticket will be applied to the new ticket price. You will receive your ticket voucher via email less than 48 hours after your purchase. Mine took less than 24 hours to arrive. When you get the email, open the attachment(s) to get your ticket number (located two places on the ticket indicated by the red arrows). Use this number to link the ticket to the correct guest on the My Disney Experience website or app! If you stay at a Disney-owned resort, the tickets will be linked with your MagicBand and you won’t have to visit Will Call. If you are staying off-property, you will have to visit Will Call at any of the theme parks to pick up your physical ticket (a plastic card) that you can use to enter the parks and for your FastPasses. You can pay for your ticket with Paypal, Mastercard, or Visa. You also get 5% back in Norwegian Airline CashPoints which can be used on any Norwegian flight! Who knows, you might earn enough to catch a cheap flight to Europe. Sign up for a Norwegian account and make sure your number is connected at checkout. If you have any trouble with the 18% discount coming off automatically, try using an incognito window. 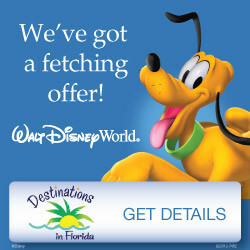 You can also get great deals on tickets to Universal and most other attractions with this sale! I’m considering buying tickets for an activity in San Francisco for our fall trip out there as well. Any questions about this deal? Please leave a comment below or join the discussion over at The Budget Mouse private facebook group! Hi Nereida! I have bought a ticket with this offer myself and it is legitimate. I was able to link my ticket with the My Disney Experience app and it worked perfectly. You could also link them on the Disney site. Are park tickets cheaper if bought as a package with resort room or are park tickets cheaper buying them separate from room (as like thru this deal or undercover tourist)? Hi Melissa! Park tickets are never discounted as part of a package. The best price for them would be with a deal such as this or through another broker such as Undercover Tourist.